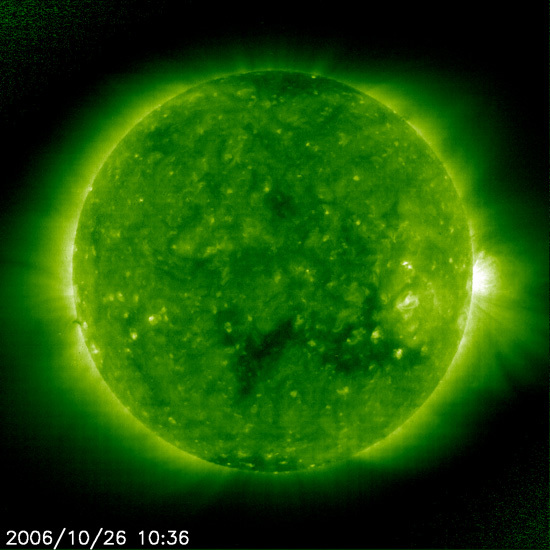 In short, today's space weather is fine, and the forecast for the next few days calls for very low solar activity. 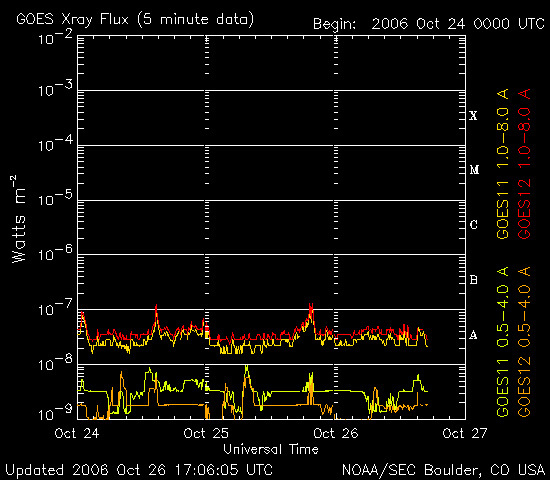 No sunspots and coronal ejections to blast the earth with severe geomagnetic and solar radiation storms. And expect no radio blackouts. 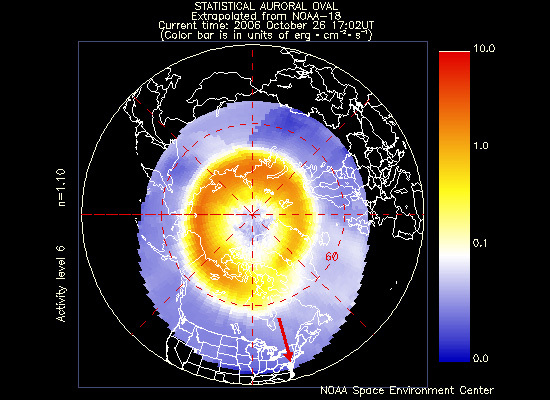 So if you're an ISS astronaut, communication satellite operators, power grid managers, and city police chiefs perpetually dreading the time when Left Behind loonies who, having seen auroras appearing as far south as Florida, will instantly erupt into a riotous mob — all of you can relax for the next couple of days. Unfortunately, there's much to be concerned about in the coming months. “The Sun is currently near its minimum activity, at the tail end of a solar cycle,” New Scientist reported earlier this year. 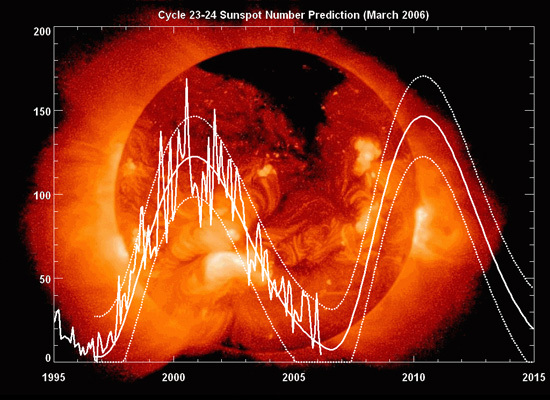 And according to computer models based on past sunspot cycles, the next one is predicted to be 30% to 50% stronger than the last. The first sunspot of this coming cycle may already have been spotted. Obviously this brings up possibilities of designing landscapes specifically for these coming electromagnetic hurricanes. In the same way weather here on earth informs design — for instance, when one orients houses on a southeast facing direction as a primary technique in increasing domestic energy efficiency; plants tree rows to the north and west as a way of modifying microclimate; plasters an entire corporate office complex with the largest solar-powered electricity system; or even watches The Weather Channel religiously — can biologically hazardous coronal mass ejections, traveling earthbound at near light speed, also inform landscape architecture? Can you design public spaces that illuminate during high X-ray events? Can you genetically modify shrubs to thrive on extreme proton flux, throwing shoots and growing buds everywhere while you sit in the garden, admiring the lush vegetation and cultivating skin cancers? Can you design a park where you can listen in on the “[d]etonations of stars?” All electronic devices might be rendered useless, but amidst the twittering of fauna and the rustling of flora, you can still listen to minuets, sonatas, and adagios throughout the park. So if you follow a prescribed path, they all resolve into a hypnotic solar symphony. Or if you stray from the path, you get Ligeti. 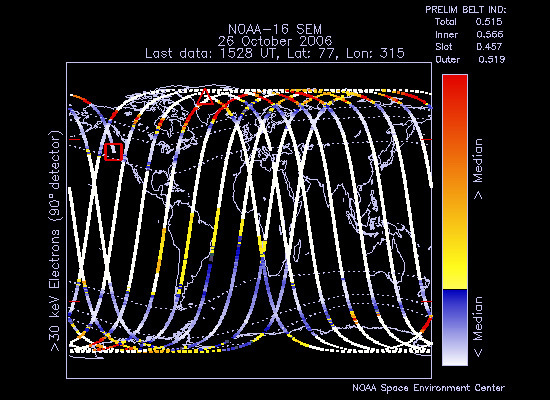 Are there sites specifically designed for auroral observation? In Cairo, high in the Peruvian Andes, within the precincts of Angkor Wat? Can you plan an entire exurban subdivison that — whether through some mathematically complex street configuration, innovative zoning, subterranean debauchery, institutionally sanctioned Neo-Luddism, or whatever — can mitigate the effects of electromagnetic storms on its grid? Meanwhile, there are plenty of solar graphs and data plots to overload your visual cortex. And if NASA and NOAA seriously want to create a 24/7 space weather channel, which I think they should, they first need to take a lesson in weather infographics. 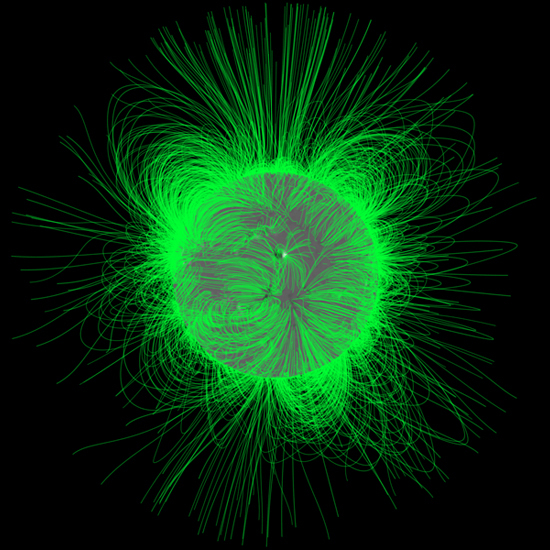 But in the meantime, there are also these near real-time images of the sun for you to peruse. The one below was snapped by the Extreme ultraviolet Imaging Telescope. As you can see, the sun is practically quiet. 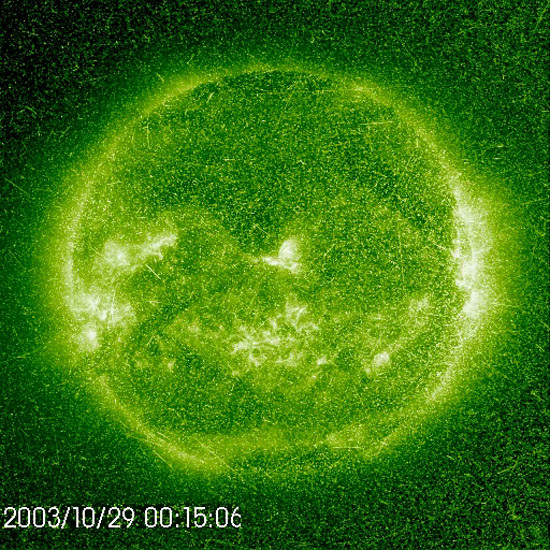 However, if you prefer watching coronal whorls unleashing a billion one-megaton nuclear bombs, you can download this 25.8MB QuickTime movie and this 35.5MB MPEG movie courtesy of NASA and the European Space Agency.